Project Scope Management refers to the set of processes that ensure a project’s scope is accurately defined and mapped. Scope Management techniques enable project managers and supervisors to allocate just the right amount of work necessary to successfully complete a project—concerned primarily with controlling what is and what is not part of the project’s scope. For a project manager, scope knowledge area is very important, and the Project Management Institute (PMI)® emphasizes this. Scope refers to the detailed set of deliverables or features of a project. These deliverables are derived from a project’s requirements. There are three processes of Project Scope Management: planning, controlling, and closing. The final process, closing includes an audit of the project deliverables and an assessment of the outcomes against the original plan. The scope of a project is the clear identification of the work that is required to successfully complete or deliver a project. One of the project manager’s responsibilities is to ensure that only the required work (the scope) will be performed and that each of the deliverables can be completed in the allotted time and within budget. The documentation of the scope of the project will explain the boundaries of the project, establish the responsibilities of each member of the team, and set up procedures for how work that is completed will be verified and approved. This documentation may be referred to as the scope statement, the statement of work, or the terms of reference. As a project manager, you’ll need to define project scope no matter what methodology you choose to use. Here’s one example of a systematic process to capture, define, and monitor scope. Defining the needs of the project is the first step toward the establishment of a project timeline, allocation of project resources and setting project goals. Only with these steps defined will you be able to understand the work that needs to be done – in other words, the scope of the project needs to be defined. Once that is done, team members can be allocated tasks, and provided direction to deliver a project in the given time and budget. To define the project scope, it is important to first establish the objectives of the project, which may include a new product, creating a new service within the organization, or developing a new piece of software. There are a number of objectives that could be central to a project; the project manager ensures the team delivers results according to the specified features or functions. The resources and work that goes into the creation of a product or service is essentially what defines the scope of the project. The scope generally outlines the goals that will be met in order to achieve a satisfactory result. Once these parameters are established, the limitations of the project need to be clarified and the aspects that are not to be included in the project identified. By doing this, the project scope will make clear to stakeholders, senior management, and team members what will and will not be included in the final product or service. Additionally, the scope of the project must have a tangible objective for the organization that is undertaking the project. This is integral for the scope of the project, since it will play a vital role in how project methodologies are applied to complete it. This is the first process in the Project Scope management process. The PMBOK® Guide, Fifth Edition, added several processes to separate the initial planning activities from other activities. This process creates the scope management plan. 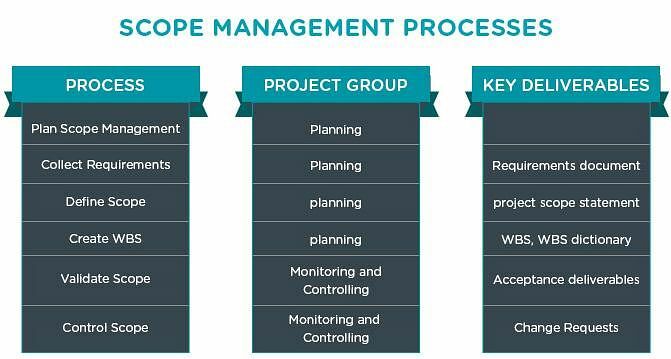 The scope management plan describes the project scope and documents how it will be further defined, validated, and controlled. The table below shows the Inputs, Tools and Techniques, and Outputs of the Plan Scope Management Process. 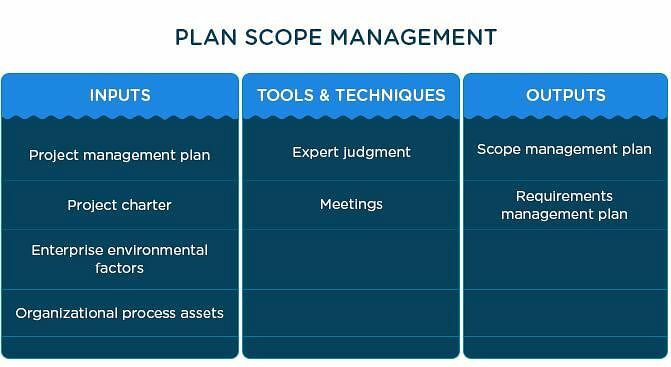 The Scope management plan covers how the scope will be defined, validated, and controlled. It also includes information on preventing or dealing with scope creep, handling change requests, the escalation path for any disagreement on the scope elements between stakeholders, the process for the creation of the scope statement, the WBS, and how the deliverables will be accepted. This process involves documenting stakeholders’ needs with the stated intent of meeting the project’s objectives. In this process, managers use several techniques and tools for collecting project requirements from stakeholders. The process attempts to leave no stone unturned, resulting in an in-depth list of project requirements. If this process is performed thoroughly and correctly, it can greatly reduce the possibility of unpleasant surprises as the project moves toward completion. 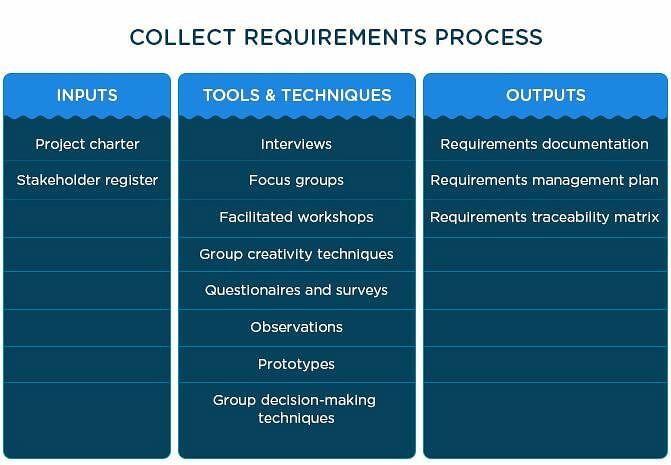 The table below shows the Inputs, Tools and Techniques, and Outputs of the Collect Requirements process. This process involves the preparation of a detailed description of the project and its major deliverables. The scope clearly states what the project is supposed to achieve and what it cannot accomplish. The supporting documents are reviewed to ensure that the project will deliver work in line with the stated goals. The scope that results states the stakeholders’ needs and communicates expectations for project performance. The table below shows the Inputs, Tools and Techniques, and Outputs of the Define Scope process. The table below shows the Inputs, Tools and Techniques, and Outputs of the Create Work Breakdown Structure process. The Validate Scope process focuses mainly on customer acceptance. It is when the project customer formally accepts all the project deliverables. This process occurs at the end of each phase. During the process, the customer gives their feedback on the work that was performed. The table below shows the Inputs, Tools and Techniques, and Outputs of the Validate Scope process. The Control Scope process involves monitoring the status of the project and managing changes to the scope. The table below shows the Inputs, Tools and Techniques, and Outputs of the Scope Control process. This process involves assessing additional requirements from the customer or proactively overlooking the project scope. Managers measure the work product against the scope baseline to ensure that the project stays on track, helping to prevent any unnecessary changes. Ambiguity: Ambiguity in scope often leads to unnecessary work and confusion. To avoid this, the scope needs to be clearly defined and to the point. Incomplete definition: Incomplete scopes lead to schedule slips which lead to cost overruns. To avoid this, the scope needs to be complete and accurate. Transience: Transient scopes lead to scope creep—the primary cause of late deliveries and “never-ending” projects. To avoid this, the scope document needs to be finalized and remain unaltered for the duration of the project. Uncollaborative scope: A scope that is not collaboratively prepared causes misinterpretations in requirements and design. To avoid this, the scope document should be shared with all stakeholders at every step of the scope definition process. Effective scope management requires clear communication, to ensure that stakeholders and team members alike understand the scope of the project while agreeing on how the project goals will be met. Scope management helps avoid the challenges that a project might face with bloating scope and an unruly requirements list. Project scope clearly sets out what is or is not included in the project, and controls what gets added or removed as the project is executed. 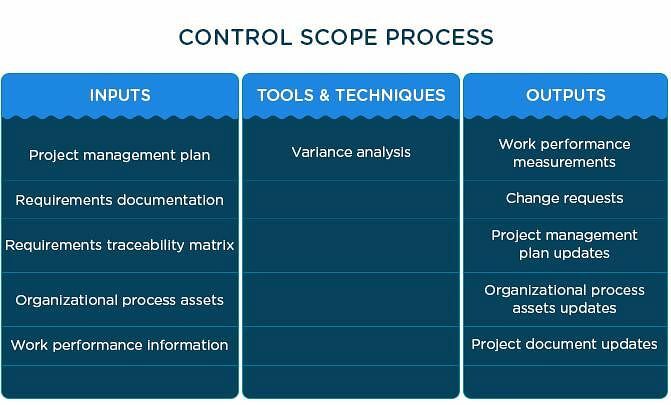 Scope management establishes control mechanisms to address factors that may result in changes during the project lifecycle. Without defining project scope, the cost or time that the project will take cannot be estimated. At times, due to a lack of communication, scope may need to change. This directly affects the cost and disturbs the schedule of the project, causing losses. Scope management is not difficult to implement; however, it does require effort, time, and patience. It’s well worth the investment—with proper scope management, you can specify a clear scope and deliver the project with minimal overruns. 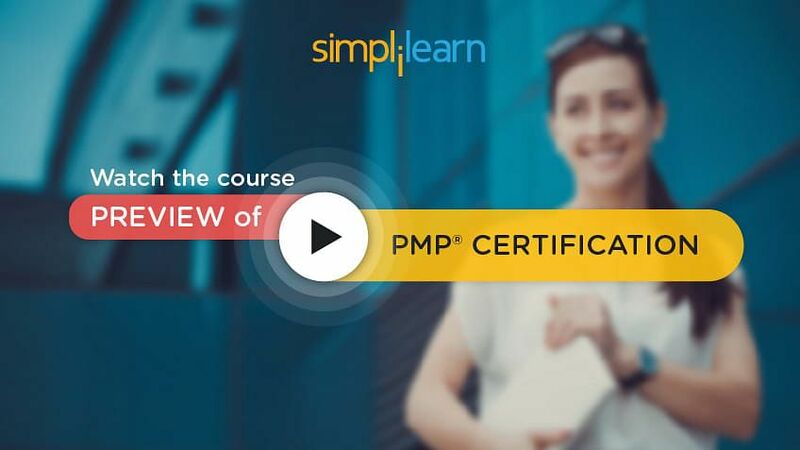 If you’re studying for your PMP exam, consider online project management training from Simplilearn. We offer a wide variety of project management courses taught by certified faculty with at least 10 years of industry experience. Passionate about Project Management? Make a career of it with a PMP® Certification. Here is a 15-minute course preview of our world-class Project Management training course. Click Here. PMP and PMBOK are registered trademarks of the Project Management Institute, Inc.
A project management and digital marketing knowledge manager, Avantika’s area of interest is project design and analysis for digital marketing, data science, and analytics companies. With a degree in journalism, she also covers the latest trends in the industry, and is a passionate writer. Scope Statement in a Project: What To Do And What Not To?